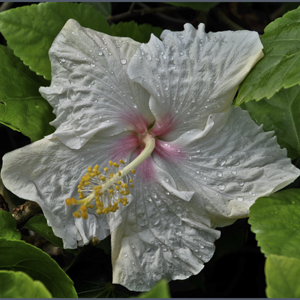 Hawaiian single white with a pale pink tinge. Grows best in full sun. Enjoys being well watered during dry periods. Ideal for coastal conditions. Prune & fertilise to maintain shape & vigour.